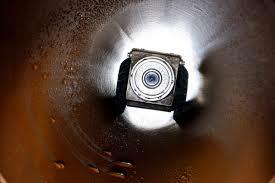 A CCTV Survey is the most efficient and cost effective way to inspect drains and sewers without having to excavate the pipes. Draintech are the best when it comes to having a detailed look at the condition of underground drains. Draintech has invested in the most up to date technology, all of our Engineers are highly trained in the remotely-controlled, specialist camera systems and software to carry out a CCTV drain survey. Our Engineers are able to assess the structural condition and integrity of the drain or sewer without causing any disruption to properties and the environment. Following the Engineers work onsite a technical report and plan will be created by Draintech’s highly skilled Processing department which will be able to show you the condition of the sewer and in addition a DVD of the footage is also provided. All survey work will be undertaken in accordance with the Water Research Centre [WRc] Model Contract Documents, Manual of Sewer Condition Classification, Manhole Location Surveys and The Production of Record Maps.